The actor has revealed he and his co-stars Zach Galifianakis and Ed Helms were very taken with Crystal - who plays a drug-dealing animal in the Bangkok-based comedy – even though she "owned the set" with her bullying ways. He told Shortlist magazine: "She bullied everybody – she owned the set – but she had ways of making you fall in love with her. She could do what she wanted. Make no mistake about it, when Crystal showed up on set, it was Crystal's set." 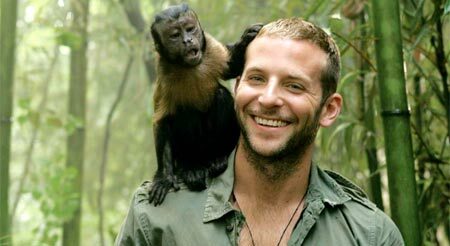 Bradley, 36, was so impressed with the monkey’s acting abilities he thinks she may overshadow his own performance in the film. He said: "She played a guy. She played a male monkey … a drug dealing monkey, which may steal the whole movie."